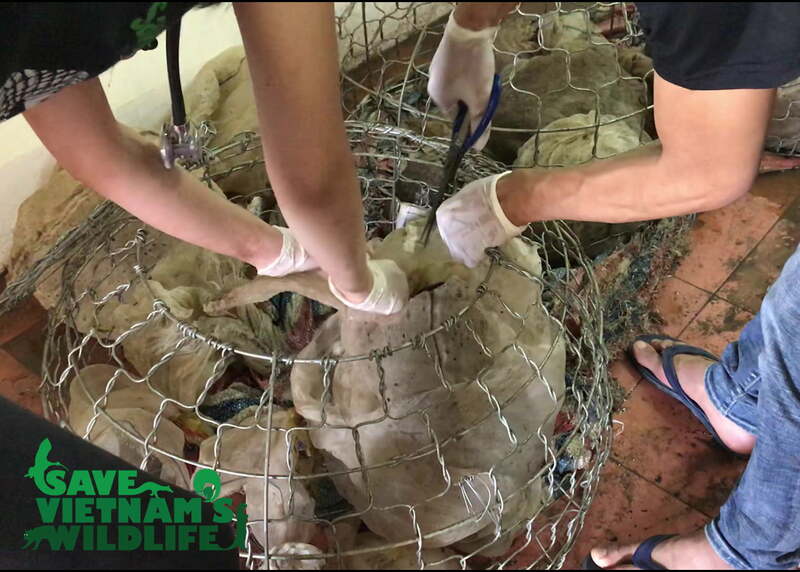 SVW’s Rapid Response Team just rescued 15 Sunda Pangolins close to the border with Laos! 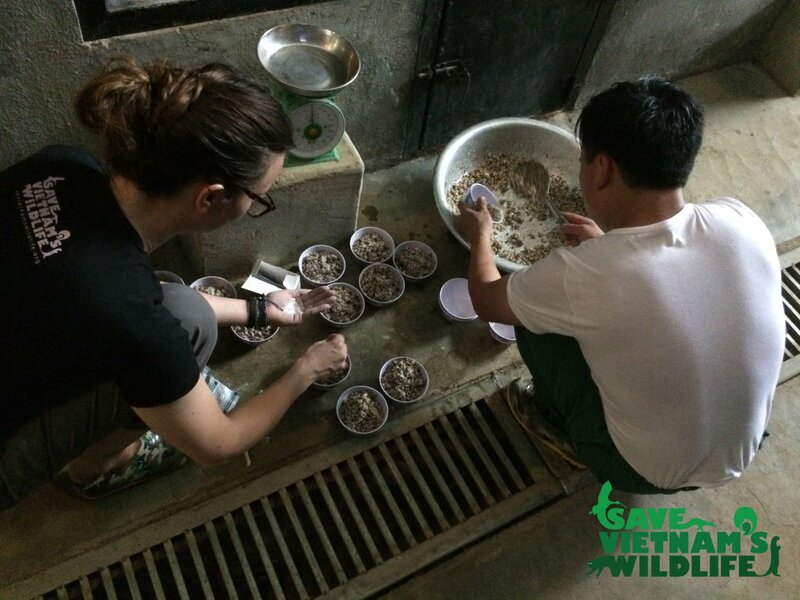 Hai, SVW’s veterinarian, was at home and saw on the news that 15 pangolins were confiscated near the border with Laos. The army partols the border between Laos and Vietnam and they had seen four people carrying backpacks across the border. When the poachers realised they were spotted, they left the backpacks behind and ran into the forest to hide. 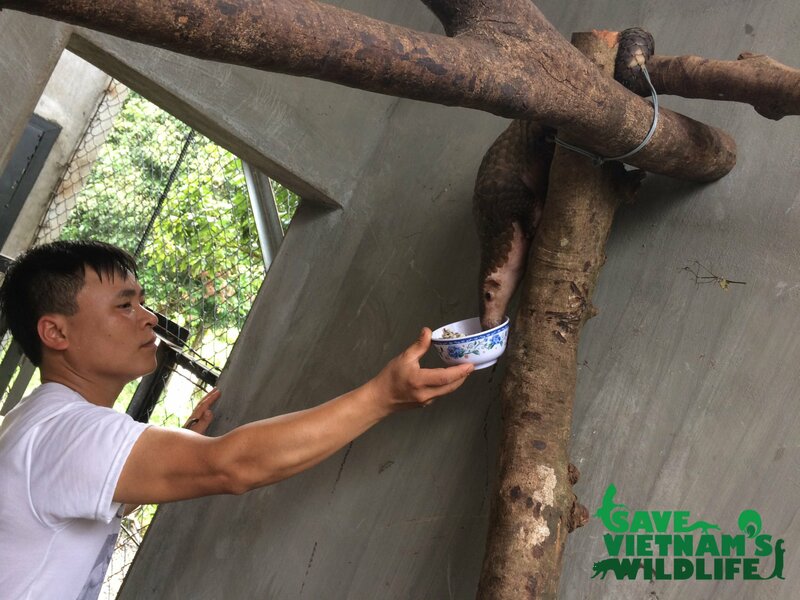 Hai called SVW’s director Thai, who contacted the ranger station. 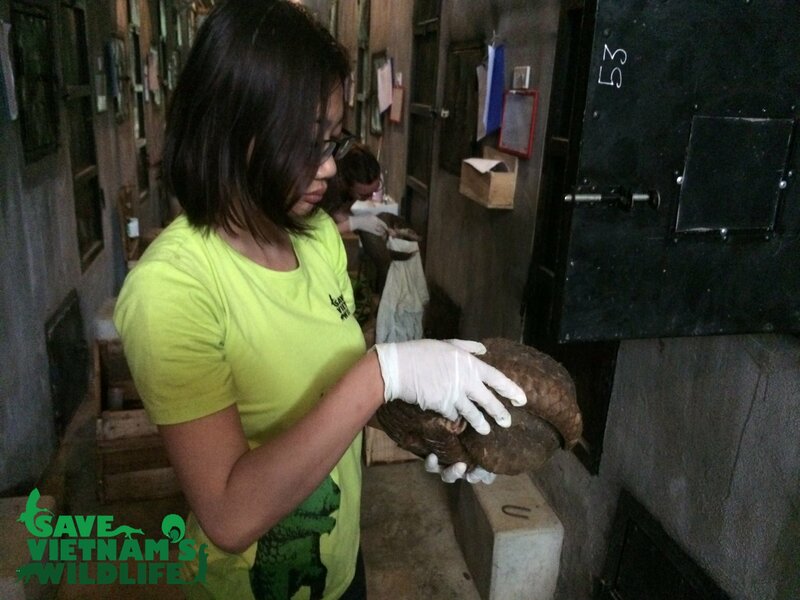 This was the first time that this ranger station confiscated pangolins, so it was a bit challenging to convince them to cooperate with us. 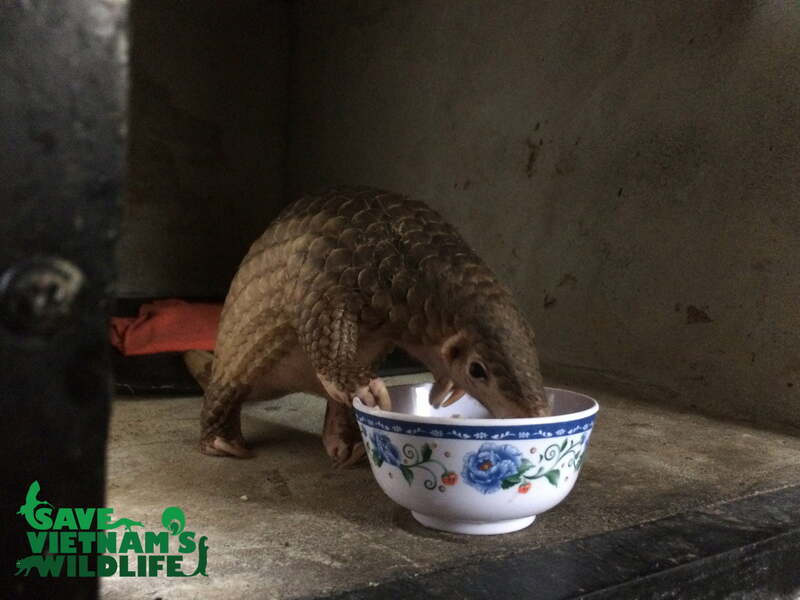 The rangers tried to do the best thing for the pangolins, so after Thai contacted the head of the FPD, the rangers knew that they could trust us to come and look after the pangolins. 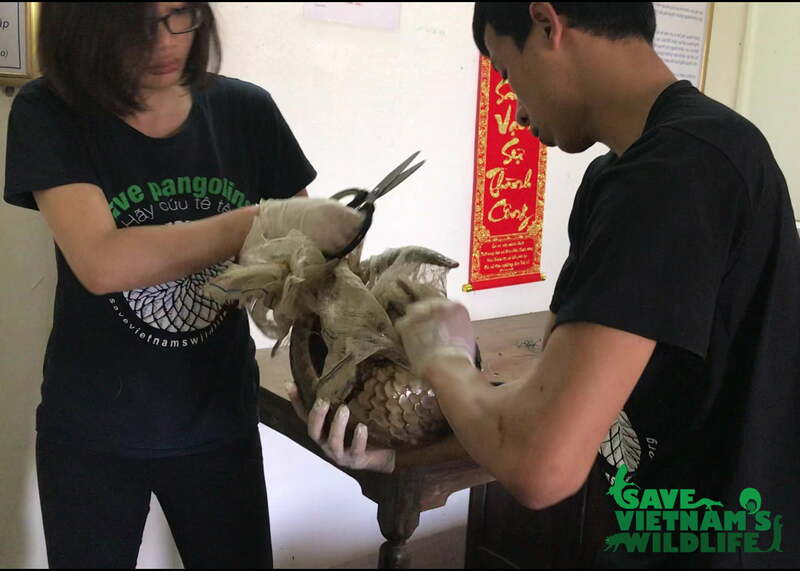 Upon arrival, SVW’s Rapid Response Team freed the pangolins from the bags, provided them with emergency care and gave them food and water. 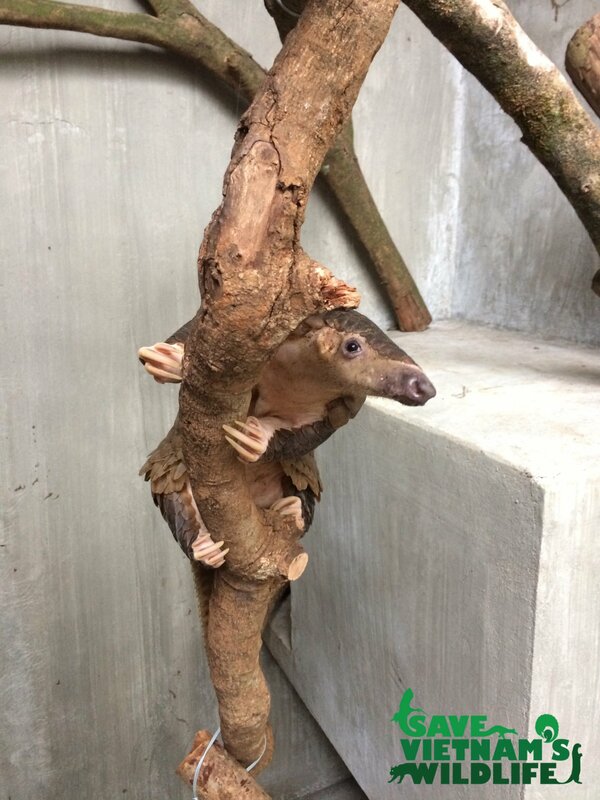 The poachers were never caught, so we will never know for sure, but we think that the pangolins were captured in Laos. They look very healthy and weren’t force fed by traders to increase their weight, like we usually see. 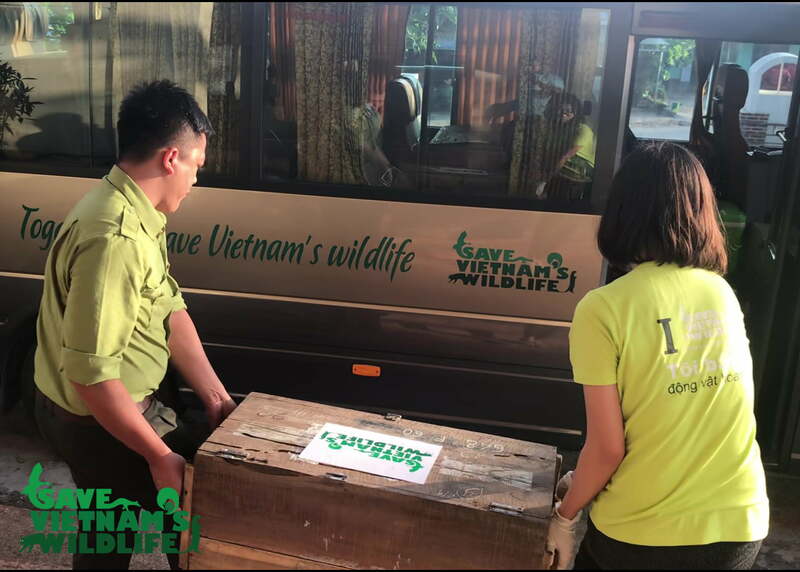 It took a while before the rangers organised and signed all the paperwork, but after four long days of taking care of the pangolins at the confiscation site, Save Vietnam’s Wildlife was finally able to take the 15 pangolins back to our wildlife rescue center. 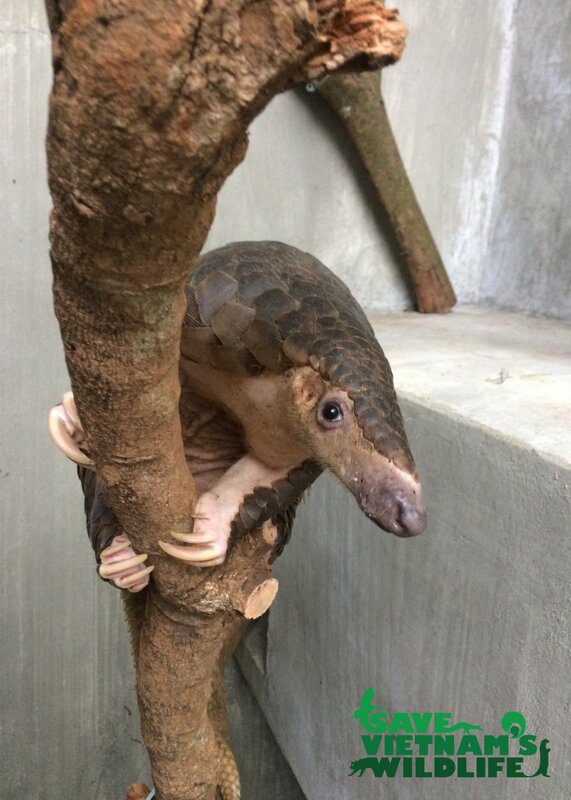 The pangolins arrived this morning, looking healthy and now the process of rehabilitation can start. 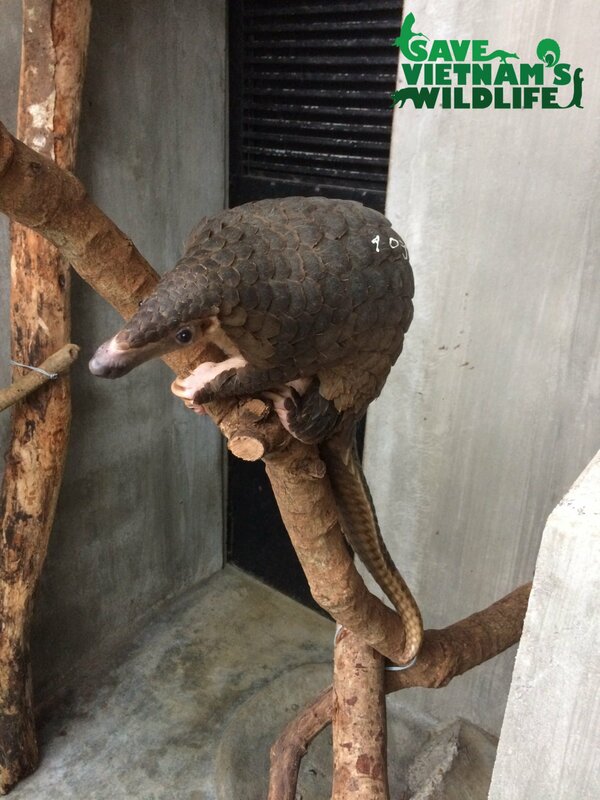 We are hopeful that all of these pangolins can be released back to the wild after their quarantine period. We will keep you updated on their progress!